If you’re ever a little overwhelmed with where to begin in your life of Faith, you may want to use the Precepts of the Church as the baseline checklist. The list has varied slightly over the years, but the one in the current Catechism lists five precepts to follow. The first thing you may notice is that the Precepts really don’t specifically mention your relationship with Jesus, but don’t make the mistake of thinking they take the place of relationship in any way. Instead, consider that following the Precepts are positive actions (things to DO) that all put you in a really, really good place to work on that relationship with Christ! Going to Mass each Sunday and holy days plugs you in with a community of believers with the same goal. It gives you a chance to hear Scripture and a homily which helps you grow in faith. It gives you the grace to go out and be salt and light and is the place where you can receive the Eucharist. Confession gets us on that road to turning toward Christ through conversion and forgiveness. Fasting and abstinence help us with self-mastery, unite us with others and makes more room in our lives for Jesus. And finally, providing for the needs of the Church is way more than a way to keep the lights on. Yes, there are very real needs at your parish, but the needs of the Church also includes providing for your neighbor and helps you to realize that all you have is from God and should be given back generously and with gratitude. 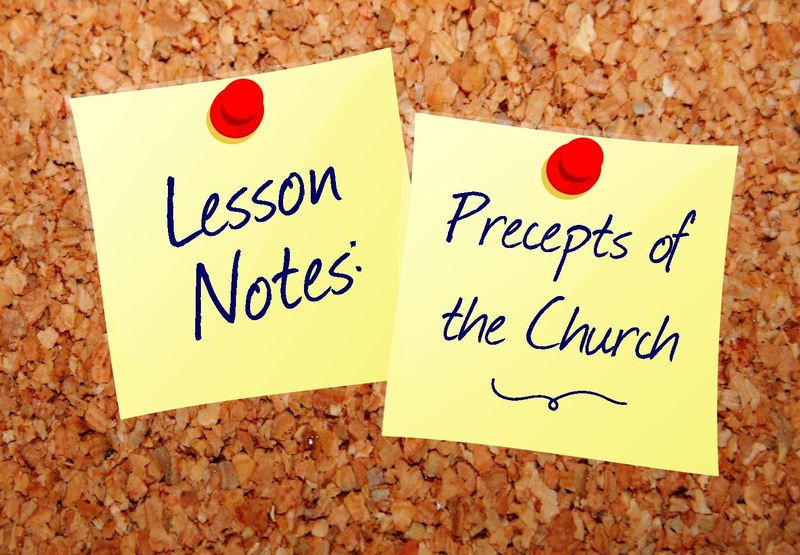 As you’re going through this lesson, you’ll get a chance to talk about each of the precepts with your family. 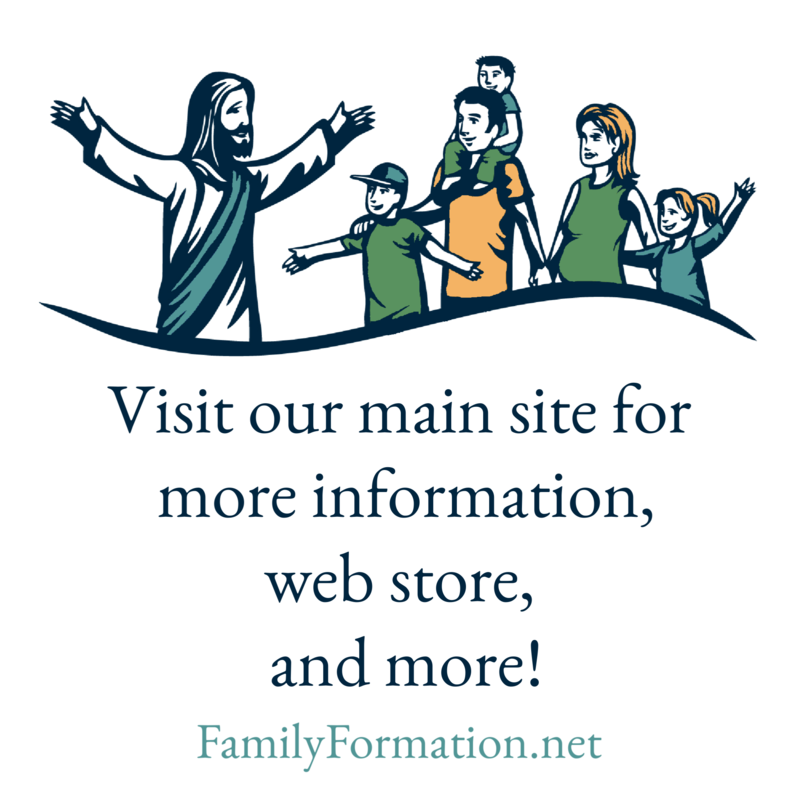 This is a great place to customize the lesson by looking at how your family celebrates each. The example that comes to mind involves a family that does online giving instead of putting an envelope in the basket each Sunday. Make sure your kids know what you’re doing so they know you do contribute to the needs of the Church but in this less visible way. Also, you may find areas where you go above and beyond the minimum. If that’s the case, congratulations! You have likely plugged into a not-so-secret secret to growing in holiness on a more effective track. If not, you’re still on the path and that’s a very good place to be! Either way, this lesson is simple and fun and will likely lead to great family discussion as to where you are.